The Baker Hughes rig count reported U.S. oil rig count decreased by 21 to 852. 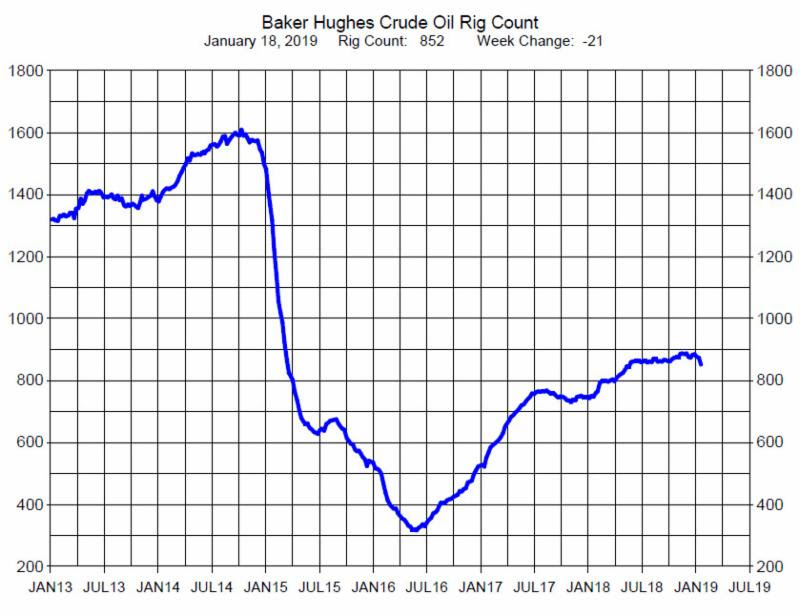 This is the third week of rig count decreases despite the $11 crude price rally since the end of December. As we have mentioned before, producers may be cautious about drilling plans for 2019 due to the uncertainty of a permanent recovery in crude oil prices. If prices continue to rise and reach sustained $60 levels rig count may increase.